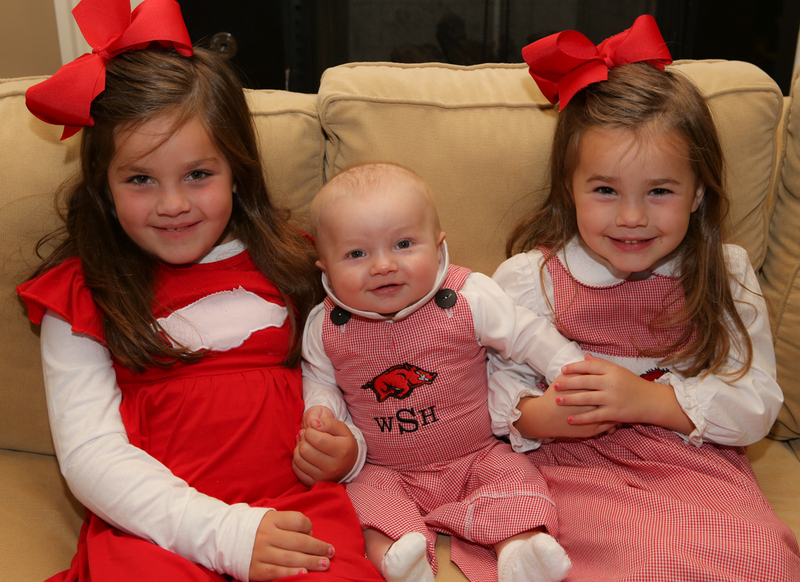 We love us some Razorbacks around here. 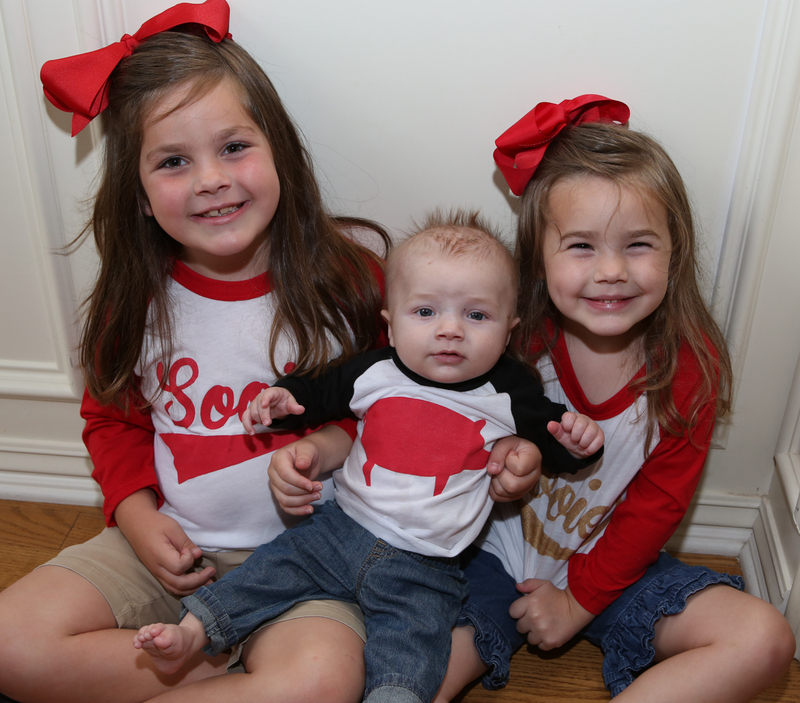 And as much as we love basketball and football games - I'm a SUCKER for cute hog themed clothes!!! 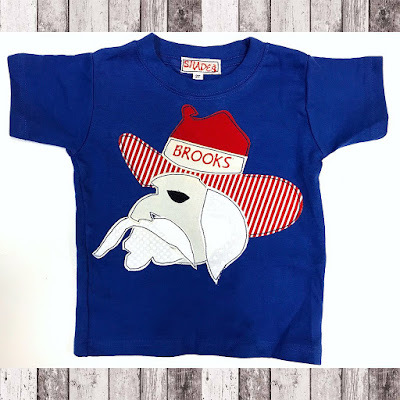 I love Shades Kids and they have the CUTEST line of shirts and outfits in the collection Shades of Saturday! 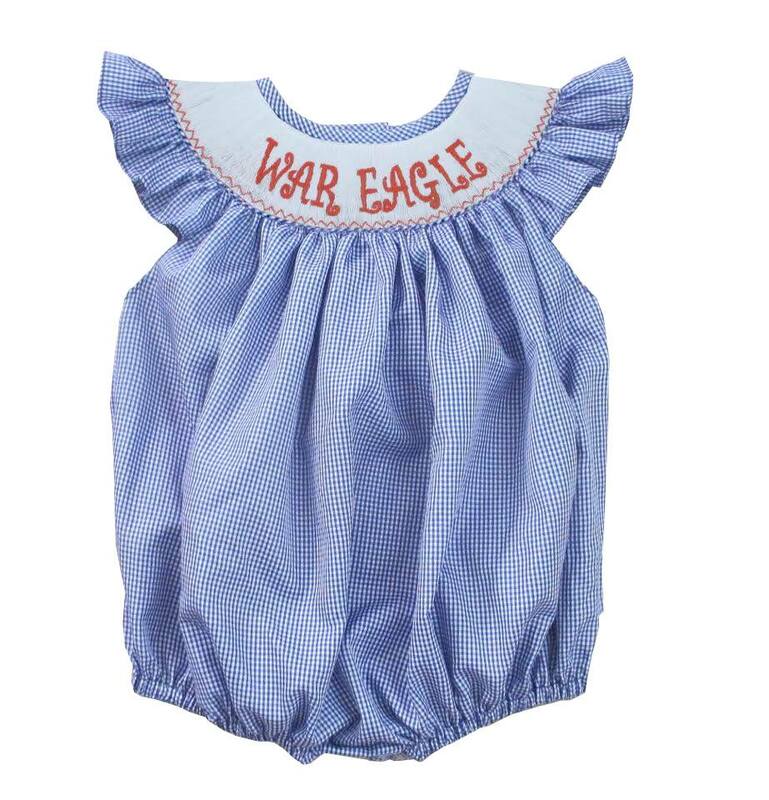 I mean Ole Miss fans - so cute right??? 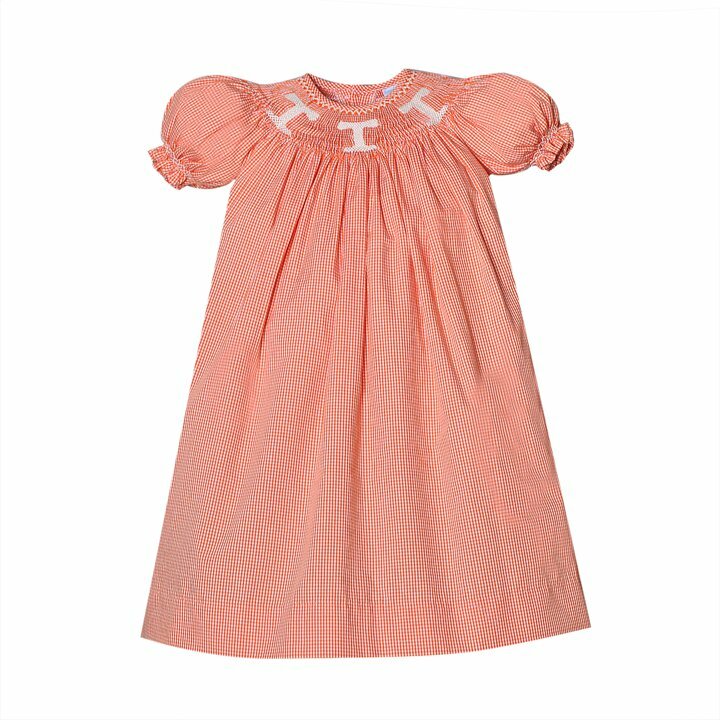 Remember Nguyen has cute smocked jon jons and dresses on clearance! Just look under clearance in both girls and boys! 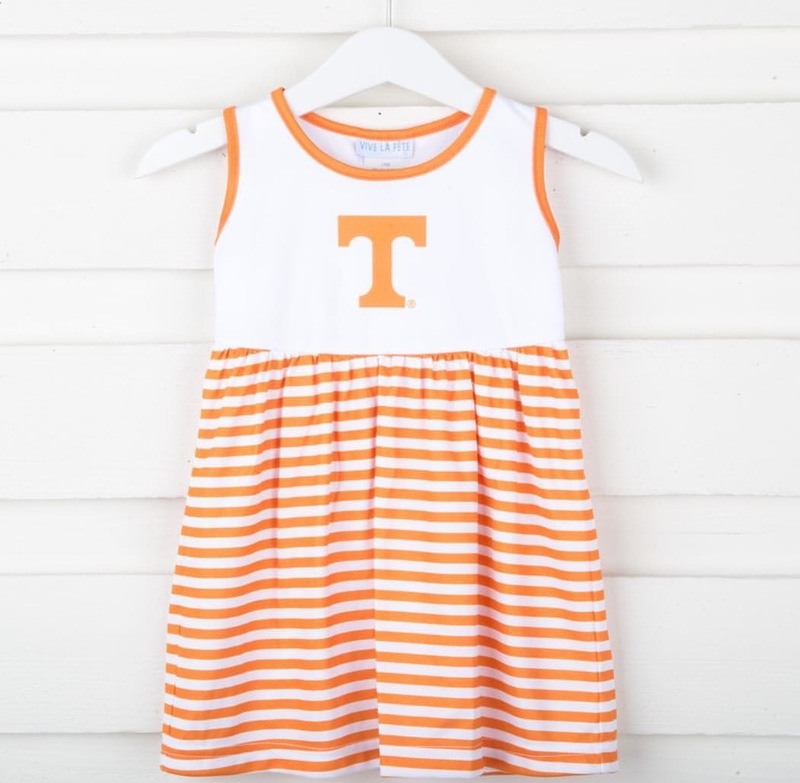 Smocked Auctions has super cute knit college dresses! 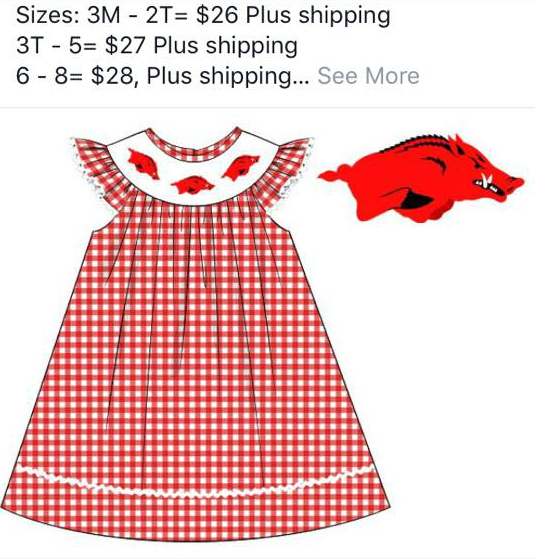 This Facebook group has the cutest preorders going on right now for several schools! Southern Smocked Company. 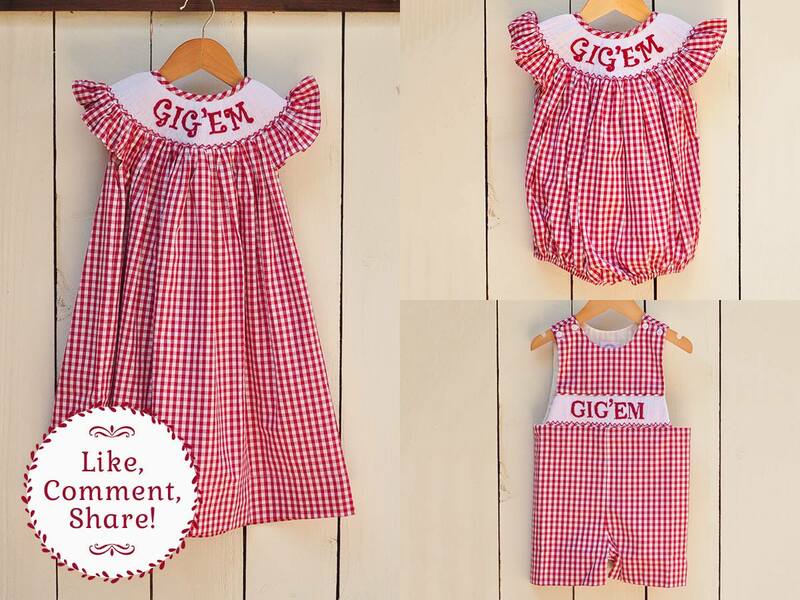 I mean look at this Aggie friends!!!!! This preorder just closed but they had the cutest things! 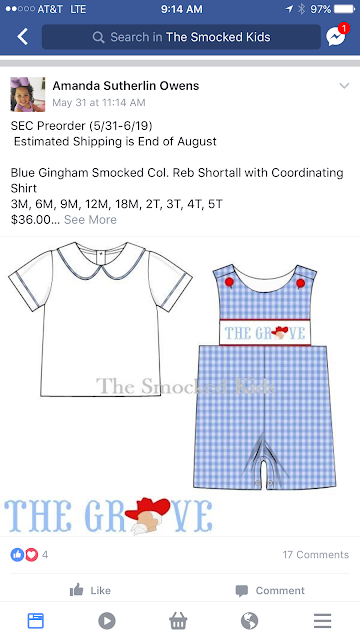 So follow smocked kids - maybe they will have extras at some point. 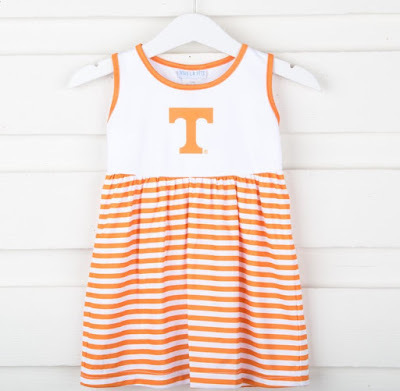 This preorder ended but I got the CUTEST things and for good prices! But I'm telling you about this group now because they have super cute things for fall if you want to look ahead! So ........... how many more days until football season?